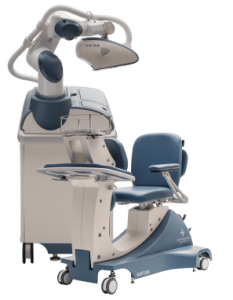 One of the reasons why so many patients have chosen the ARTAS® system for hair restoration is that it only causes minimal disruptions to the patient’s schedule. The hair transplant procedure can take a few hours, depending on the size of the treatment area. However, since it does not involve any surgical incisions or sutures, patients can look forward to a rapid recovery process. After undergoing your hair transplant procedure, you can expect to resume your usual activities in about one or two days. You may feel slight discomfort and swelling in the area. This is normal and should resolve within one to three days. After undergoing hair restoration, you’ll begin to see new hair growth in about three months. The results will continue to improve, with dramatic hair growth at about six months. About one year after you underwent hair transplant surgery, you’ll enjoy your final results. Since your new hair grows in gradually, people will notice that you look younger without knowing that you had a hair transplant.